Today I'm reviewing the Kruidvat Cleansing Nose Strips. The packaging includes six strips for the nose, and are meant to remove blackheads and to cleanse your pores. I had only used the Nivea cleansing strips before, and they didn't really make a difference so I was a bit sceptical using these... but here we go! This is one of the six strips. First you need to cleanse the skin and wet your nose with your fingertips. Dry your hands and remove the plastic of the strip. Place the strip on your nose with the shiny side onto the skin. Leave the strip on for 10 to 15 minutes and let it dry until it gets hard. Once the strip is completely dry remove it carefully. This is how the strip looks like with the plastic still on. The shiny side that goes onto the skin. Recently I've been having problems with my pores, they are very noticeable even with foundation over it! I've been trying a lot of things to help my little problem like scrubbing and steaming regularly, but haven't noticed big results. The pore strips from Kruidvat were so cheap I couldn't walk passed them. This is the result. As you can see my pores were pretty big in the before picture. My nose in the after pic looks a bit red, but I am pretty excited about the result! The redness went away after 10 minutes and my pores had noticeably gotten smaller. I would definitely recommend this product to people who want to reduce their pores, it might not give you perfect skin but it will bring you closer to smoother skin! I will definitely keep using these strips twice a week and hopefully the results will get even better! 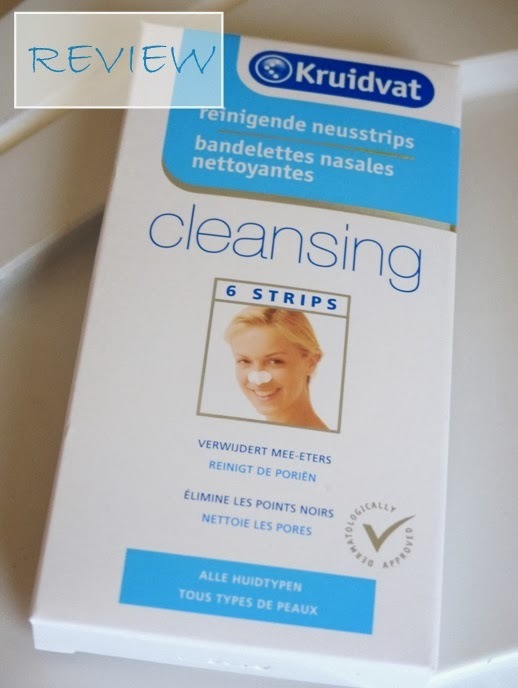 You can find the Kruidvat Cleansing strips at Kruidvat for €1,99 (so only about 33 cent a strip!). wauw, ziet er goed uit inderdaad. Fijne tip & een mooi prijsje!